You have the freedom to create your listing on Amazon in any way you see fit, but neglect to optimize it properly and you’ll struggle to rank highly or reach high conversion rates. 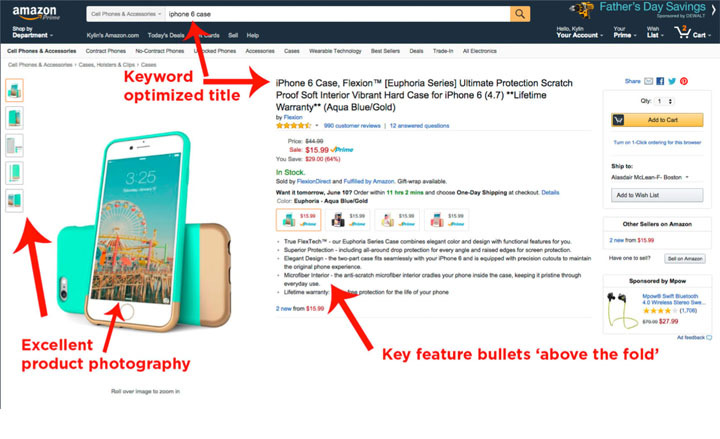 Amazon’s A9 algorithm takes a look at a number of factors when determining what product listing should be towards the top of the search results. With the help of search engine optimization services from our SEO Company, you can rank highly on Amazon. It’s important to rank on page 1 of the search results as the majority of people don’t bother navigating to page 2 and beyond. Focus on optimizing your product listing to give it a boost in rankings and consequently increase the number of sales generated. Furthermore, you must consider the product listing from the perspective of the potential buyer. It must be informative, comprehensive and have plenty of pictures to provide an accurate representation. After all, it’s humans that will be buying and not the algorithm. The first thing potential buyers look at is the title, which means it needs to be informative. Ensure that the brand name, model number and name of the product is included. These most important elements should be at the start of the title, then you can include descriptive words that outline the main features. For example, if you were selling headphones, then you could use keywords such as noise cancelling, wireless and over-ear. The title has a 250 character limit for the majority of categories and your aim should be to use the entire length. It’s important to include as many keywords as possible because it will elevate your search rankings for a wider range of queries. However, remember that you’re writing for humans too, which means the title must make sense. After the title the next thing buyers look at are the product images. Therefore, they must do a good job of clearly depicting the product. A maximum of 9 images is allowed and you need to use every slot possible. Get various angles of the product and where applicable provide zoomed in options that highlight certain key features. The main image must have a plain white background without a watermark. An image with the product packaging is a good idea. Ideally the height should be 500px and the width 1,000px. This level of resolution ensures the image quality is maintained when zoomed in on. A lifestyle image showing the product being used allows the buyer to visualize how they can use it. Also photos that can depict the scale helps the users get an accurate physical representation. Invest in good quality photography equipment. Once a potential buyer is interested in your product they will inspect the specifics using the product features bullet points. The character limit for this section is 1,000 so you have to be mindful of only entering the most important aspects of the product in a concise manner. 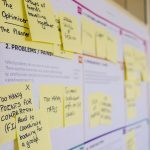 The key to creating a good quality product features list is to place yourself in the shoes of your customer – consider what they would like to know. Highlight the most important features and place them towards the top. Ideally your product description will attract the buyer over the competition – even if the competition is offering exactly the same product. Guarantee and warranty information should also be provided, typically it will be the last bullet point of the list. Finally, ensure the material the product is made of is included and the problem it actually solves. 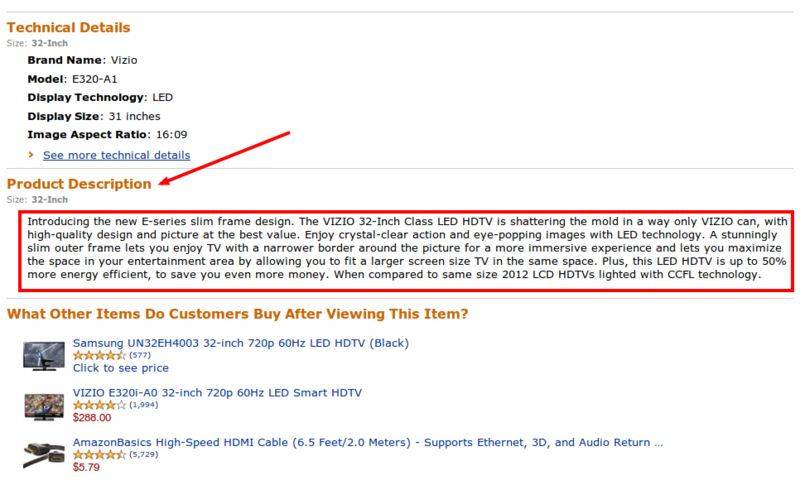 No need to go into much detail as you can use the product description section for that. Below the fold once the user scrolls down they will see the product description area. Some Amazon sellers leave this pretty much blank and that is the worst thing you can do. Here you can expand on the various benefits of the products and really sell the buyer on why they should buy it. The character limit for this section is 2,000 and you need to use all if it to fully optimize your Amazon listing. Start by expanding on all of the features you have mentioned in the product features section. Customers that make it to this section are interested in finding out more, but they don’t want to read a long article. Therefore, ensure the sentences are short (10-25 words) and plenty of keywords are used which are bolded – this creates skimable text. Consider the target audience and use language they can relate to. Also storytelling is a great way of highlighting the main uses of a product in an engaging way. This is a technique that successful Amazon sellers use to increase conversion rates to beat the competition. Obtaining high quality reviews and plenty of them is the best way to win on Amazon. However, you cannot game the system and due to recent policy changes you cannot incentivize buyers to leave reviews. However, there are still a few things you can do to nudge buyers to take the time to leave a review. An automated email campaign can be used to improve the customer experience by sending notifications of when the product will arrive. This same method of communication can be used to send follow up emails to ask for a review. However, in the end you need a good quality product and people will leave reviews organically because they are pleased with their purchase. Ideally your product score will be 4.5 or above. You cannot manipulate this score but you can improve the quality of the product and the score will rise naturally. Look for patterns in the negative reviews to figure out the shortcomings. Once you address these you’ll have a much better chance of increasing the product score. From the advice above you can see that there is a formula for optimizing any Amazon product listing. Amazon is a competitive marketplace and you need every edge that you can get. Therefore, it’s a no brainer to spend resources to fully flesh out the product listing to make use of all the screen real estate you’re given. To get a better idea of how to optimize take a look at some of the bestselling products on Amazon. They will likely have excellent product listings that can be used for inspiration to create your own competitive Amazon product listing.